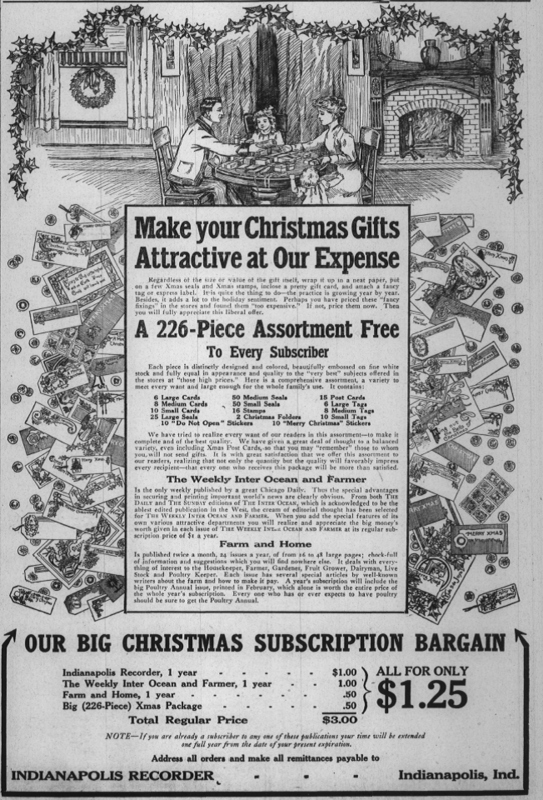 This week’s Sunday Advert comes to you from almost two hundred years ago, when Indianapolis was in its infancy. 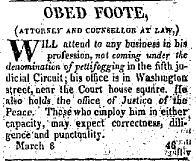 The March 22, 1823, issue of the Indianapolis Gazette contained an ad from one of Indiana’s first lawyers, Obed Foote. Mr. Foote, born on April 27, 1787, was admitted to practice law in the First Circuit Court on September 26, 1822. The two other lawyers admitted that day – Hiram Curry and none other than Calvin Fletcher Sr., for whom the Fletcher Place neighborhood is named. In addition to holding the position of Justice of the Peace until his death, Obed Foote was a founding member and first treasurer of the Centre Masonic Lodge #23, formed on March 27, 1822. 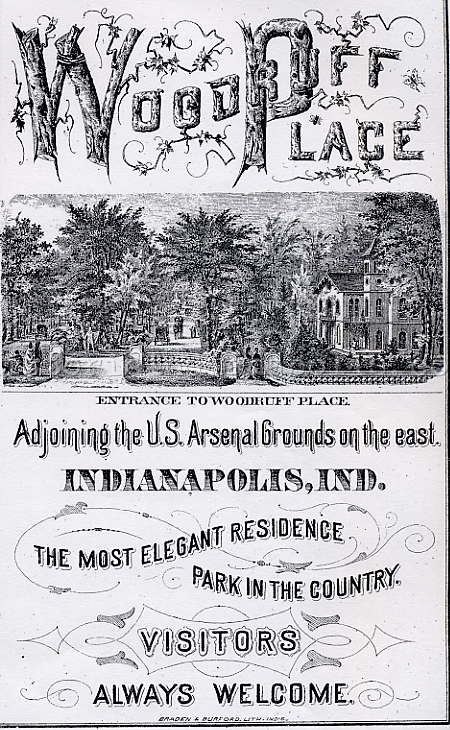 He also served as the librarian for the Indianapolis Library, organized July 9, 1828. He died of “scar. maligna.” on September 24, 1833; preceded in death by his first wife, Ann, and survived by his second wife, Mary, and two children, Obed and Cynthia. PreviousSunday Prayers: 2110 College Ave. 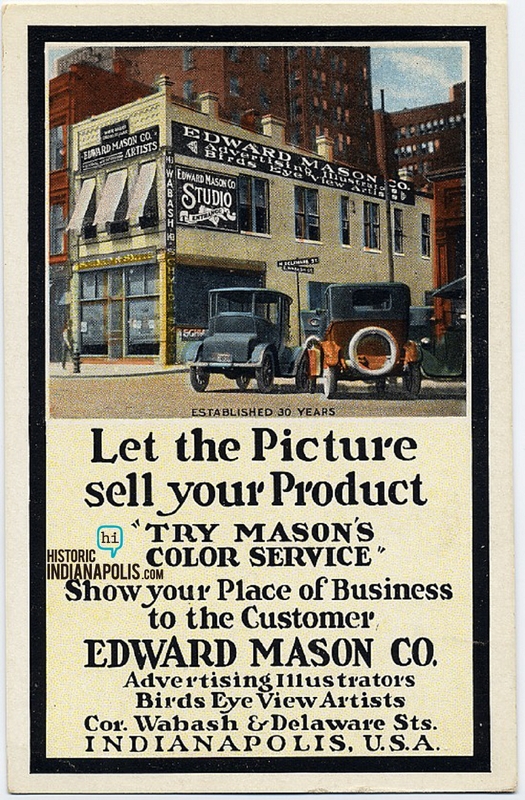 Following these blogs on early leaders in Marion County is very good. Thank you for reference to pettyfoggery. I know a lot of people who do this. 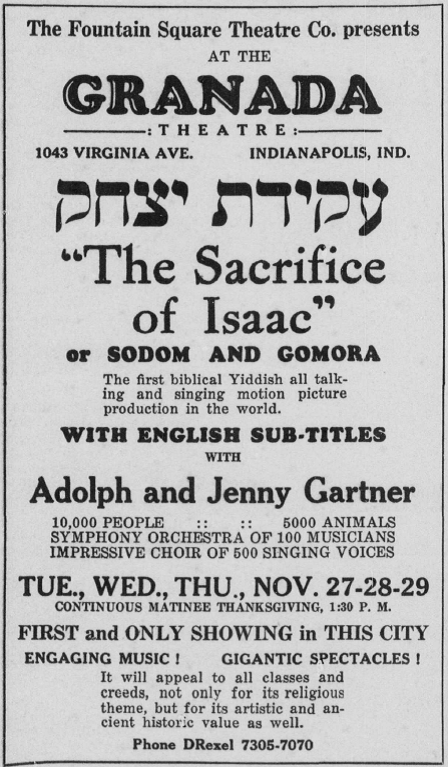 BTW, I could not link to this article from HI home page, but then used the generic search function to find it. Check the link. And thanks, HI, for all that you do.